Kansas Gov. Brownback rescinds discrimination order on gays and transgender. 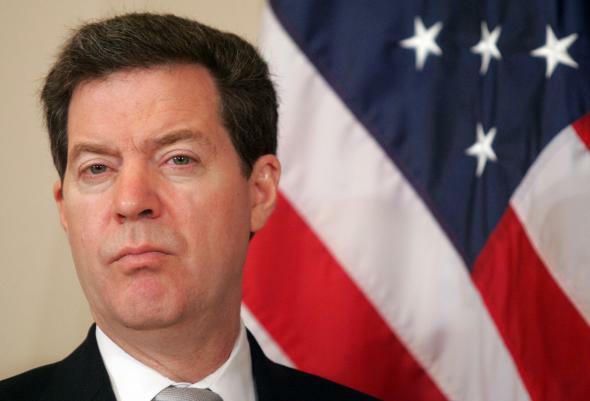 Sam Brownback looking skeptical in 2007. Kansas Governor Sam Brownback rolled back legal protections on Monday that protected state workers from being discriminated against in the workplace on the basis of sexual orientation or gender identity. The Republican rescinded a 2007 executive order issued by his predecessor, Democratic Gov. Kathleen Sebelius, that specifically barred discrimination against gay and transgender workers.